Customised Gifts Create Lasting Business Relationships | Dynamic Blog! Customer retention is one of the most important parts of building a successful business. It's 50 percent easier to sell to existing customers than it is to attract new ones. That's why you need to take care of your customer base. One of the best ways to do that is to provide them with customized gifts. Whether it's a t-shirt, a keychain, a gift card or a notebook, a small gift can mean a lot to your customers. Here's why. Giving a gift is a chance to fill a desire that your customer has. Identify their wants and needs through market research and come up with a gift that will satisfy them. Going the extra mile to do this is much better than simply giving out free pens or stickers, which will ultimately be thrown away. If you give your customers a gift that's especially thoughtful, useful, different or creative, you'll make a great impression. This is because it shows that you understand them. Do this, and you can guarantee that they'll remember you. The importance of building customer relationships shouldn't be overlooked. When you're building a customer base, you have to find ways to maintain a connection with people and keep them coming back to your business. Customized gifts are a great way to do that. Around 40% of customers say they feel more engaged with a brand when they're already using one of its products. This means that you can maintain a relationship with them even through a small promotional product. A free gift can be a great incentive for customers to keep coming back to your business. If you let them know that there's a free product up for grabs, you can convince them to make an extra purchase or refer a friend to your company. Customers love to know that their purchases and loyalty are appreciated. The gesture of a gift is the perfect way to thank them for doing business with you. It lets customers know that you value them and makes them feel appreciated. In the world of business, this goes a long way! 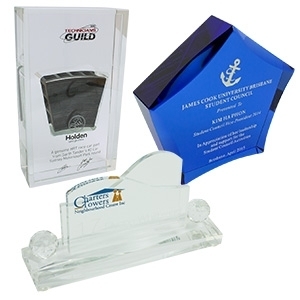 A gift that's branded with your company's name or logo will function as a marketing tool. Each time it's used, it displays your brand, making people aware of it. This applies to not only the customer who's received it, but also the people around them. If this is important to your business, choose gifts that are likely to be put on display. This can include ornaments like trophies, or wearable items like lapel pins, scarves, ties and belt buckles. At the Pin Factory, we specialize in providing customized gifts for businesses like yours. You don't have to worry about coming up with your own designs. Our design team will do it for you, completely free of charge.